In the sunshine of Australia Day, the Carlisle Park Cricket Club hosted a special day, one that highlighted what can be achieved when the local community comes together as one for a great cause. 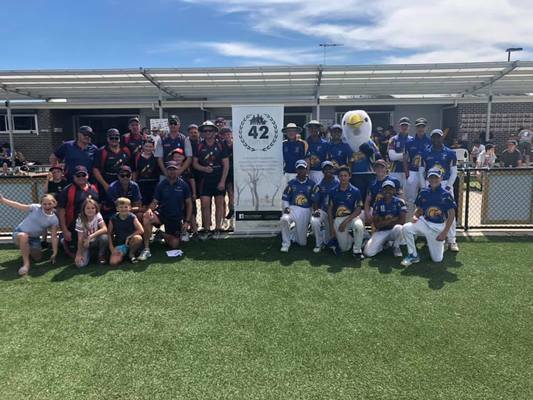 In the third edition of the ‘42 Ball Bash’, 10 teams competed for glory, but more importantly, they came together to raise funds for the ‘42For42’ not-for-profit organisation. 42For42 aims to help struggling veterans and their families by building a memorial dedicated to those who have paid the ultimate sacrifice. 42For42 signifies the 41 soldiers killed in Afghanistan and the 42nd is to represent the soldiers lost and continue to lose to suicide, as well as those who have returned with injuries and mental illness. The third edition of the event was the biggest yet and in an amazing effort by all, $14362 was raised. That takes the total over the three years to over $30000. 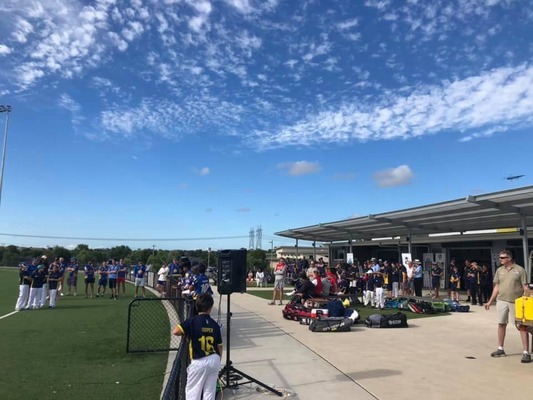 Mike McKenna, West Gippsland Cricket Association Vice President, talked about the day and how the community spirit shone bright in a fun afternoon for all ages. “It was just a massive day and we had about 500-600 people roll through over the course of the day,” McKenna said. “There were kids everywhere, both boys and girls playing, and it was just an absolutely fun day. There were teams that had parents playing with their kids and it was a really family-centric day. The memorial, which requires $100,000 in fundraising, will be in the grounds of Suncorp Stadium in Brisbane, beside the Anglican Church of Australia and will provide an opportunity to honour those touched by the Afghanistan war. There was plenty of cricket played; eight games in total, and Kooweerup came out on top over Cranbourne in the final. “You had 42 balls from one end, go out and have a hit and field and then when it got down to the business end, it happened to be Kooweerup and Cranbourne Cricket Clubs playing off in the final,” McKenna said. There were returned soldiers who attended the event and McKenna saw the positive effect such a day had on them. “There were some times during the day when I sat with returned soldiers and it was quite emotional to hear their stories of how they’ve lost their friends through suicide and what this sort of a day does for them,” he said. A special thank you must go out to all the volunteers and those who donated or sponsored the event; Central Healthcare Services, West Gippsland Cricket Association, Evolution Concrete Service, Bakers Delight Casey central, Highview Accounting and Financial, Great White Spark Electrical, Complete Frames and Cranbourne Turf Club.